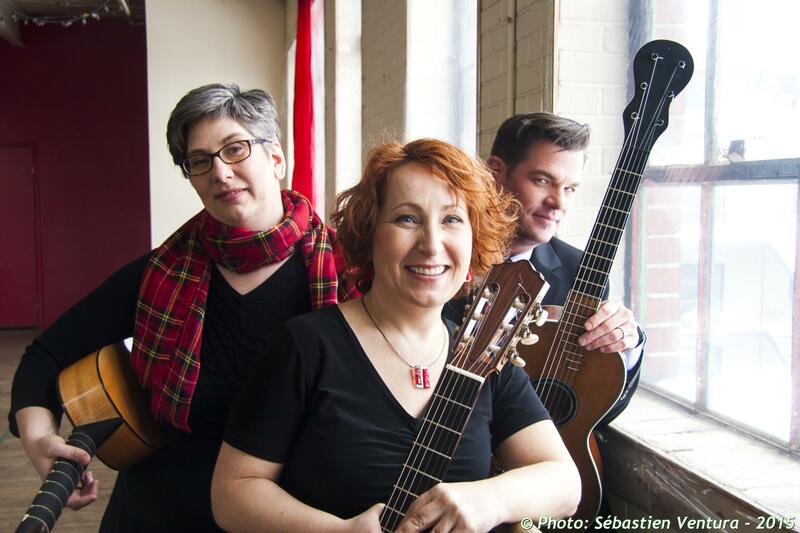 This trio of seasoned musicians is made up of Madeline Owen, a specialist in Baroque plucked stringed instruments, Isabelle Héroux, better known for her renditions of contemporary works, and Pascal Valois, a specialist in Romantic-era repertoire. They are joined by the tenor David Menzias. The Folia Trio presents two different types of concerts. They either play repertoire from the whole of the 19th century on vintage instruments or present a full exposition of the last 400 years of repertoire on baroque, romantic and modern guitars.